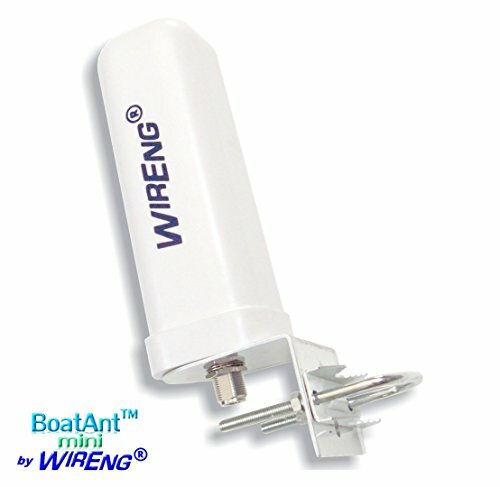 The BoatAnt-Mini™ is an ultra-compact and efficient omnidirectional antenna especially suited for the outdoors. This BoatAnt-Mini™ set, made for enhancing the BandRich BandLuxe C331 signal strength and data throughput, incudes the BoatAnt-Mini™ and 25 feet of ULL240 ultra-low loss coaxial cable and adapter for direct connection to the BandRich BandLuxe C331. This BoatAnt-Mini™ system is made to enhance your BandRich BandLuxe C331 signal. For best results, simply install the BoatAnt-Mini™ on a standard TV antenna pole (1.25 inch diameter recommended) as high as possible above the roof line, run the included cables to your BandRich BandLuxe C331, and enjoy the better signal and faster throughput! This BoatAnt-Mini™ system will connect directly to your BandRich BandLuxe C331, supporting all its frequency bands and modes of operation. It is recommended even when your signal is not too low because a stronger signal usually means faster download and upload data rates! The BoatAnt-Mini™ operating frequency range is 700-3800 MHz with a peak gain of 6 dBi*, a horizontal aperture of 360° and a vertical aperture of 200°. This BoatAnt-Mini™ system is made for the BandRich BandLuxe C331 (SKU BDR-C331-BTM) and is mainly recommended for Outdoors (Pole) applications. 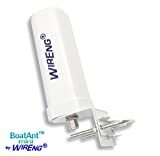 *Gain in dBi values are averages increases obtained by comparing the standard/internal device antenna to a properly-installed BoatAnt-Mini™ located substantially higher than the BandRich BandLuxe C331 location. 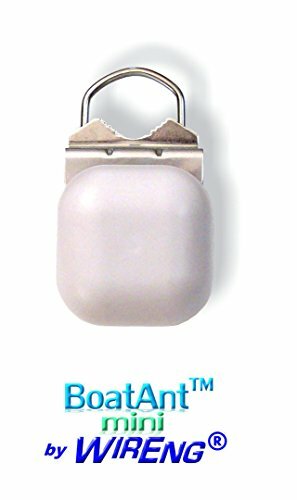 The BoatAnt-Mini™ itself measures 2.5 x 7.5 x 2.5 in and weighs 1.75 lbs. One year manufacturer warranty included. 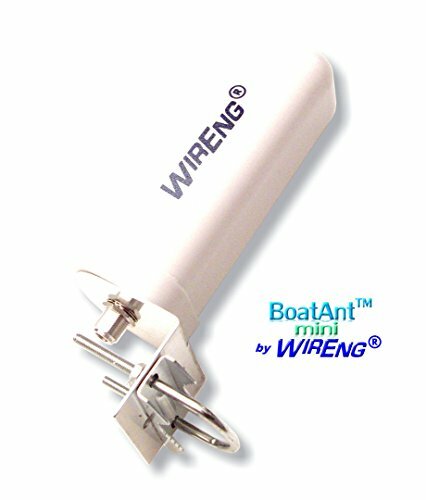 The BoatAnt-Mini™ by WirEng® is a fully enclosed, all-weather, ultra-compact omnidirectional antenna for outdoor/pole/mast applications. 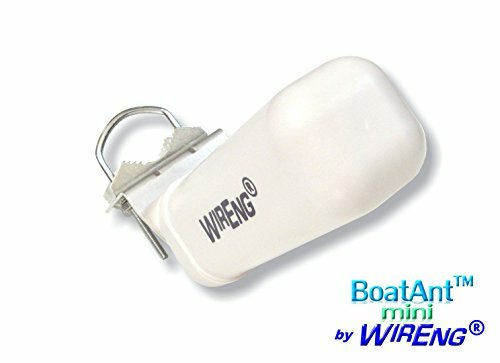 This BoatAnt-Mini™ set is made for the BandRich BandLuxe C331 and comes with 25 feet of ULL240 ultra-low loss coaxial cable and adapter (if more gain is needed, replace the included cable with as many WirEng®'s ULL240-FMEF-NM-25FT ultra-low loss cables as needed). 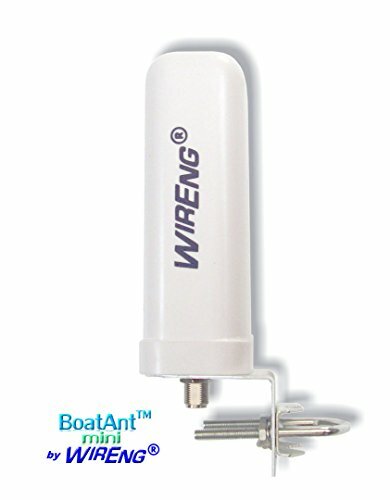 This BoatAnt-Mini™ set is made in the USA with domestic and imported components and includes a one-year warranty period.